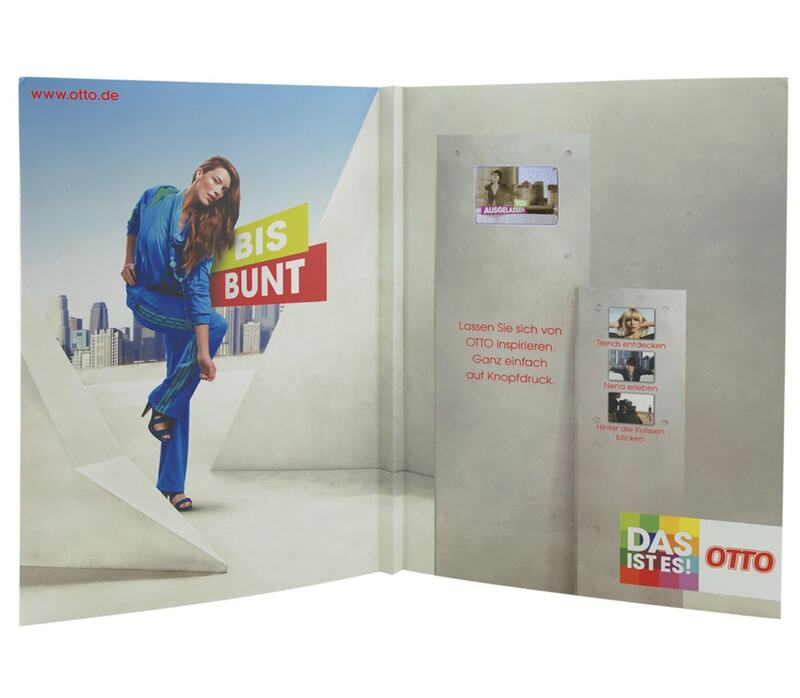 Gruner & Jahr, the largest Eurpoean publisher, wanted to be the first European outlet to utilize Americhip’s patented Video-in-Print® and they knew the perfect client to partner with – Otto. Otto is one of the largest European online shopping sites and was looking to create a splash. Together we created the first ever Video-in-Print® fashion trend industry guide. The VIP™ unit features video which highlight fashion trends from A to Z.